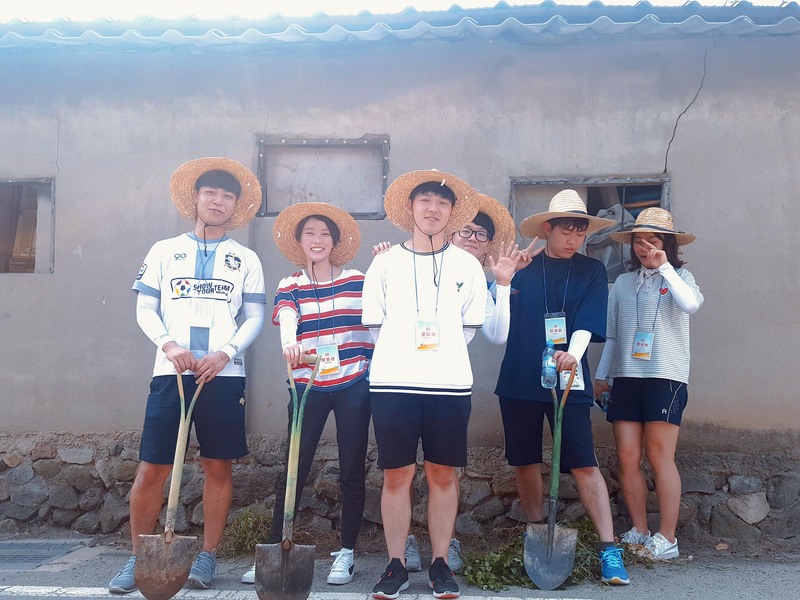 Students from UNIST and POSTECH partook in the annual rural community outreach project, took place in in Seosang-myeon, Yangam village, Ulju-County from July 21 to 23, 2017. 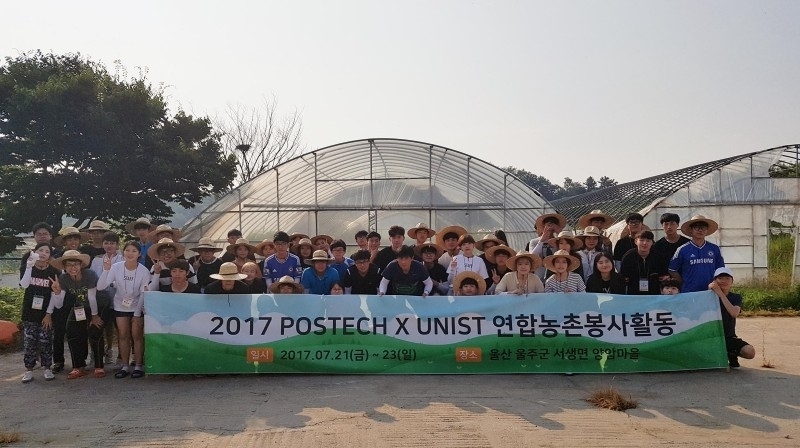 To lend a helping hand to rural farmers during their busy season, students from UNIST and POSTECH spent their weekends at a local community farm, located in Seosang-myeon, Yangam village, Ulju-County. Organized by both the UNIST and POSTECH student councils, approximately 56 student volunteers spent three days at Yangam village from July 21 to 23, 2017. Volunteers were involved in all aspects of day to day farming, including fruit thinning, and harvesting. They also spent some time picking up trash, pulling weeds, and removing invasive species to help their local farms. The primary purpose of this annual rural community outreach project is to provide meaningful learning opportunities, as well as to help students appreciate the value of charitable giving that is voluntary, rather than obligatory.